If you don’t know that reference it is from an 2007 phone commercial. Classic. Anyways, I wanted to write a post about technology as assistive technology (AT) and more than just soul sucking relationship ruining screens that give you cancer. I will talk about how I use my devices as AT and why they are important for me and because of such, will be talking exclusively about Apple iOS devices because that is what I use. I plan to do another post about iOS as AAC devices and switch access eventually so this isn’t the longest most boring post ever! I am a die hard Apple fan. I was a die hard Apple fan before I got sick and have fallen even more in love since then. First, I am in no way paid by or speak for Apple or anything, I don’t know why people have to say that but they do so I will! Second, I am not going to talk about Android because I know nothing of Android. I know they do not have as extensive built in accessibility features but they work better for some and that is fine. 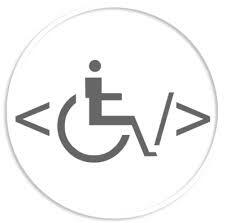 Lastly, I’m mainly going to be talking about why I choose Apple products as a person with a disability and what features help me or might be of help to those with similar conditions. So leggo my eggo (not paid by them either 😦 )! First I’m going to talk about some settings/features that aren’t technically accessibility settings (other menus) but that I have found to be helpful. Apple’s visual voicemail system is one of the most underrated features in my opinion. For people with hearing/auditory processing issues, gone are the days of trying to remember which button to press to repeat the message…giving up and having to call VM all over again because you didn’t quite catch that middle part. New to iOS10 is a beta for automatic voicemail transcription. Now, when you click on a message and press play, the recording plays and an automatic transcription is written below. If it picks up a phone number it will be hyperlinked and a long press will give you options to call, message, or add number to contacts. For someone with Dyslexia this is a god send. I call/text wrong numbers constantly when I try to manually copy them down. Additionally, it is useful for those with hearing loss, auditory processing issues, or even if you want to scan the content in a meeting to know if it is urgent. At first I was not into having my mom be able to open an app and track my phone but it really has grown on me. This is definitely not the set-up for everyone (could be with someone other than your mom) but in times where I have gotten hauled off to the ER and they leave a VM on her phone saying “Julie’s in the ER”, being able to see which ER, if I am still there, or where I am if I am too confused to figure it out can be super useful. Again, not for everyone. 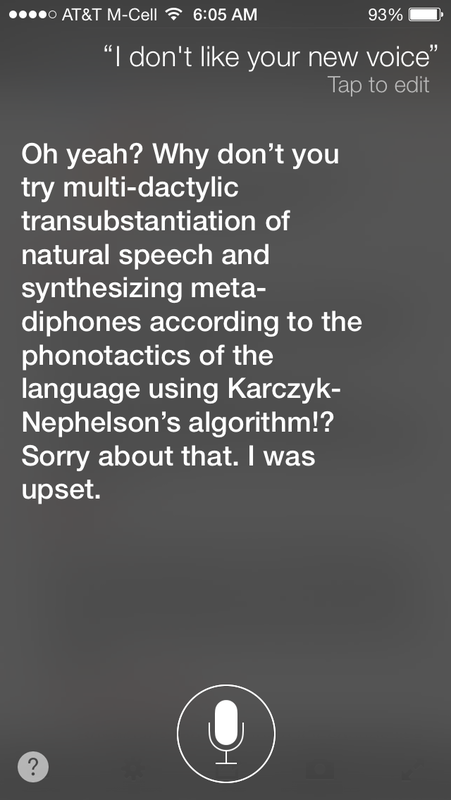 Siri is great and almighty electronic goddess, obey her. At the minimum please put in your organ donor status, name, and emergency contacts. It can be accessed by EMS/ED staff even if you have a lock on your phone. To view access, get to the lock screen with the number panel, click emergency in the bottom left, click medical ID. Another brilliant addition to iOS10 was the Color Filters setting. This allows the user to tint their screen to their liking/need. This is a godsend for anyone with photosensitivity, migraines, color blindness, eye strain, and other vision conditions. It allows me to turn my screen a nice pinky-orangey tint that I would otherwise have to wear my specialty indoor migraine glasses for. Another feature in this category is Reduce Whitepoint. This setting allows the user to reduce the intensity of bright colors on the screen by 25-100%. No longer need you be blinded by a white screen loading a webpage on ridiculously slow internet. I wouldn’t be able to do much of my homework or social media without text-to-speech software due to eye strain, dyslexia, migraines, photosensitivity and reading comprehension issues. This is definitely one of my most undervalued helpers and it wasn’t until I was trying to read a textbook chapter on a different computer that I realize how much I rely on it and am assisted by it. This one is really helpful if you have vision triggered disabilities or just don’t want all the fancy graphics for things like opening and closing apps. These are more specialized/complicated but amazing accessibility features I plan to do a separate post or maybe video for but I will just share their purpose now. Switch Control is for people with physical, cognitive, or sensory disabilities who have trouble accessing all or many of their functions or their iDevices via direct selection AKA touching the screen with their hand or a stylus. It is a built in program that allows the device to be controlled and used entirely via 1 or 1 switches. Switches can be the whole screen, head movements, external switches (wired or bluetooth), sip and puff (controlled by mouth movements) and more! For an example of switch access by someone who can do amazing things with it, watch the video! Assistive Touch is basically an accessible menu for people who have physical challenges performing actions like pinching to zoom. I actually only recently learned about this feature but if you like subtitles or need them, make sure you have this setting turned on and it will automatically turn on subtitles when available in apps like facebook, netflix, chrome etc. Another relatively new feature this one can wear many different hats based on your needs. What is does is set a shortcut on/off switch for a selected accessibility feature by triple clicking the home button. On my phone, this turns on the pinky-orangey tint from my Color Filters settings. Since I only use that at night usually, it saves me a couple clicks turning it on/off everyday. On my iPad, I have it set to turn on Switch Control (more on that later) for when I use that.